By Twine & Twig. 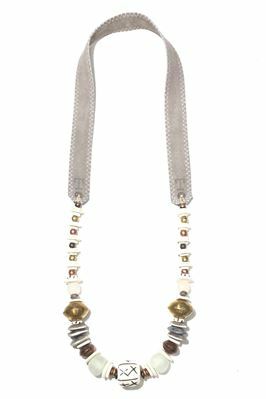 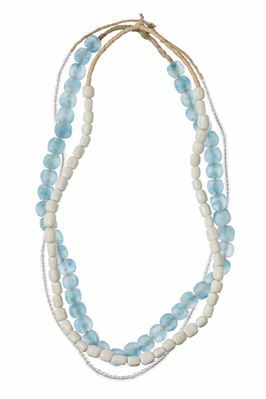 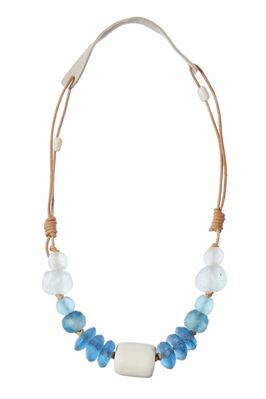 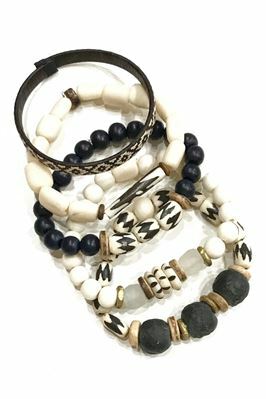 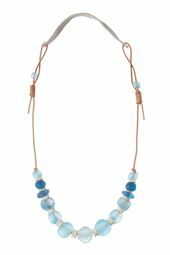 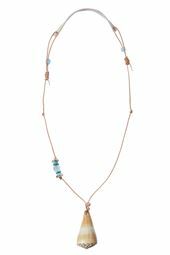 Handcrafted beaded necklace made with globally sourced, recycled sea glass and vintage brass beads on a suede strap. 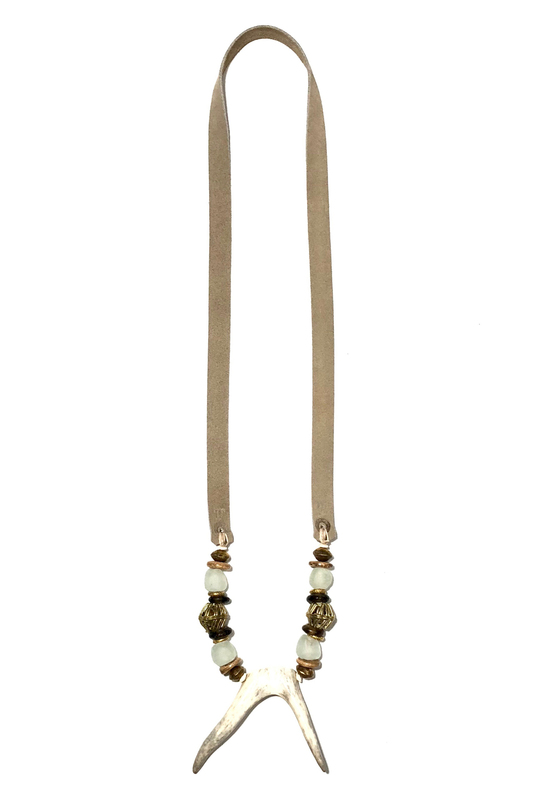 Features a naturally shed antler.